To learn to call a bird by its right name is the first step in the study of ornithology. We may propose to investigate the structure, food, and habits of the birds of the world, or desire merely a superficial knowledge of the species found in our garden, but in either case we are at once confronted by this question of identification. Excellent nature book for the student of birds, easy reading with descriptions of an obsessive birder from 100 years ago. 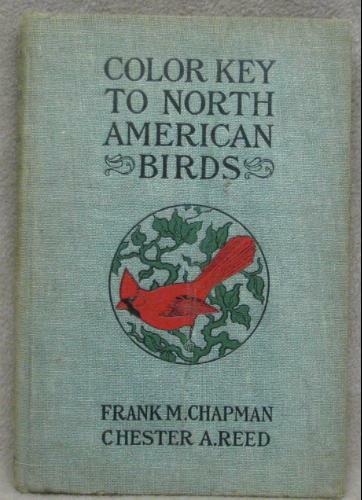 Covers his travels, and birding, in New England. A must read for today's birders. First published in 1885. A pocket museum of the land birds of the eastern United States arranged according to season. The birds are drawn and reproduced with such accuracy that no essential detail of color or form is lost. They are all drawn to nearly the same scale.